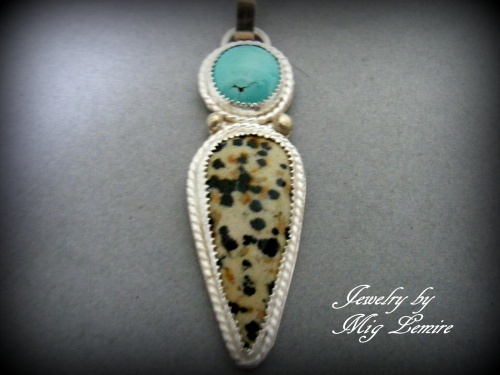 This gorgeous dalmation and turquoise gemstone pendant is so dramatic and eye popping. Soldered in sterling silver. Comes with a sterling silver chain.